ExIStA Reaches Its First Anniversary! Select was extremely pleased to sponsor the Exeter Initiative for Statistics and its Applications (ExIStA) first anniversary event, a poster and networking session at the University of Exeter’s Innovation Centre on the afternoon of the 5th December. During the event there was an Early Career poster competition with a £100 cash prize donated by Select. 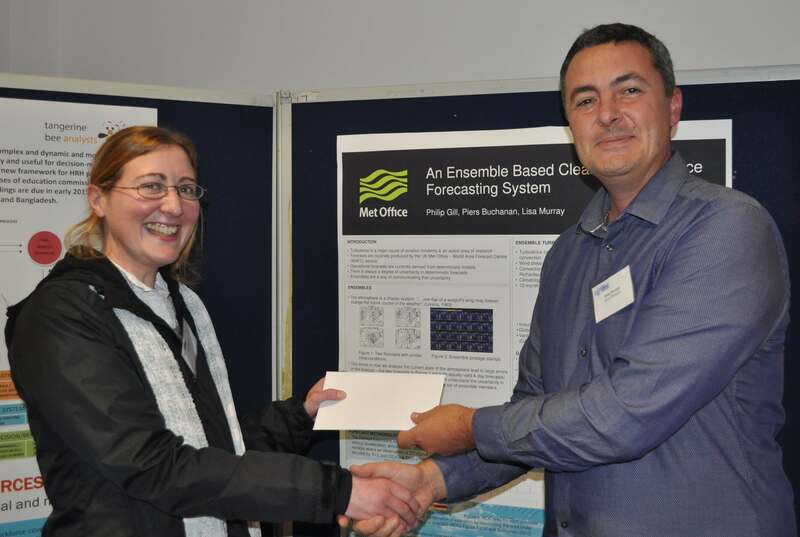 The standard of posters was very high, but after much deliberation the judges were pleased to award the prize to Dr Lisa Murray of the Met Office. Lisa’s poster was entitled ‘An Ensemble Based Clear Air Turbulence Forecasting System’ and detailed the statistical work that Lisa has been undertaking to implement an operational forecasting system for turbulence. By devising a statistical model that can accurately forecast turbulence, Lisa’s work can be used by the Met Office to reduce the current burden on their forecasters. Well done Lisa! ExIStA was set up just a year ago in order to help promote inter-disciplinary statistical activity between the University and local public and private sector organisations. ExIStA currently has over 250 members and is still growing. This is a great achievement and Select are looking forward to continuing to support ExIStA and their new calendar of events in 2013.